“Do you pay regular visits to yourself?” asked the Sufi poet Rumi. This simple question encapsulates what many of us most need in our lives now. And as life gets even faster, the moments for reflection become fewer and fewer, and years can slip by with us barely even noticing. Not so long ago wellness retreat options were stark, either some far-flung resort or a serious bootcamp in the wild, or a hippie offering in an off-grid hideaway. But a major shift has occurred as the concept of really looking after ourselves, in both body and mind, has gone mainstream. And the growth is staggering: The Global Wellness Institute 2017 benchmark report states that the wellness industry is now worth close to $4 trillion and growing, with “transformational travel” or travel motivated by self-reflection and a deeper communion with nature and culture, cited as the next evolution. The growth in retreats curated exclusively for women is significant. As distinct from spas, transformational-styled retreats take a more reflective, longer-term approach to wellbeing. Not about coming home deeply bronzed and a few pounds lighter, these all-encompassing programmes are fine-tuned with teams of exceptional therapists, outstanding food and above all, time to embrace change not just in body, but in life too. So profound is the shift that people no longer view a week’s wellness retreat as part of their annual holiday allowance, but more an essential part of their physical and emotional maintenance, with benefits lasting far longer than the tan. And often it’s the most unlikely candidates, the supercharged, results-driven high-fliers who benefit most, as they allow themselves the time to slow, to be still and to work through the hard stuff in cosy, nurturing surroundings. Mari Kennedy is a yoga teacher and leadership coach based in Dublin who hosts soul-centred retreats. “As a retreat leader, I see how alchemical the whole experience is,” she says. “Transformation happens. The word retreat implies stepping back and getting away from everyday normality. That is something that can help us get a fresh perspective on our lives and how we are living.” And while the anonymity that comes with heading off alone on a retreat, where nobody knows you, can be liberating, there is an immense power in sharing the experience with a friend or partner. Kennedy’s retreats bring friends, siblings, mothers and daughters or partners together to share time on the yoga mat, as well as self-inquiry and exploration. “We behave differently with each other when we have space and time. There is a sense of safety of having someone you know with you, but there is also a freedom that comes with being away together, outside the normal everyday.” www.cliffsofmoherretreat.com. London-based psychotherapist and biodynamic psychologist Fiona Arrigo believes it is imperative in these times that we come together to share our stories, our grief and our joy. The Arrigo Programme retreats in Somerset, India and New York are precisely planned, with teams of expert healers helping participants work through grief, addiction, trauma, depression, exhaustion and much more in a nurturing environment. www.thearrigoprogramme.com. The Strategic Space is the brainchild of US-born, Paris-based strategist and life coach Julie Hosler. 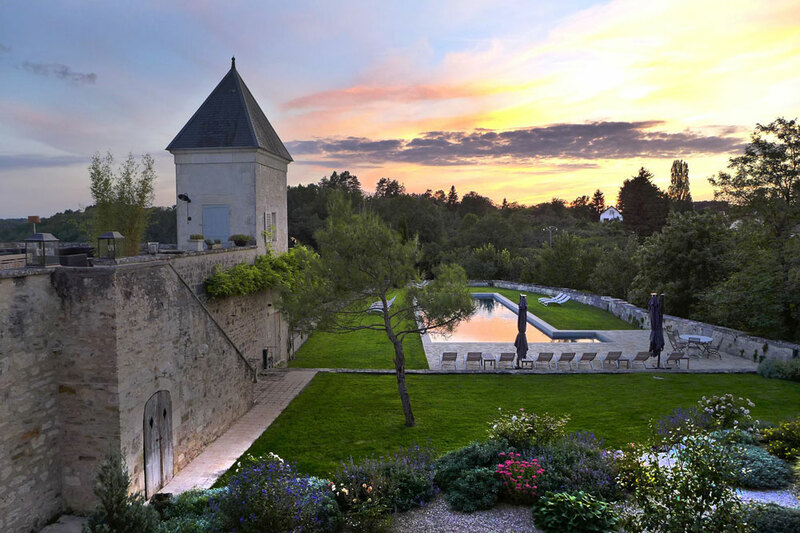 Having streamlined the lives of global corporate CEOs and entrepreneurs for years, Hosler now leads life-changing retreats in a beautiful 17th-century chateau in Burgundy. Clients include single people at a crossroads in their lives, couples and an increasing number of all-women groups, who come together to frame the next chapter of their lives. “The Strategic Space is the place to pin down your personal story – your bigger vision for your life and career – and to figure out how to make it a reality,” Hosler clarifies. This she does using a toolkit which includes psychology, neuro-linguistic programming, noteworthy TED talks and case studies. Life is a constant transformation and Hosler argues that in many cases it is fear that holds us back from change. At her retreats, clients work through their innate fears and uncertainty and learn to become less emotionally reactive. www.thestrategicspace.com. The ENRICH Method is designed by psychologist and relationships coach, Darya Haitoglou. 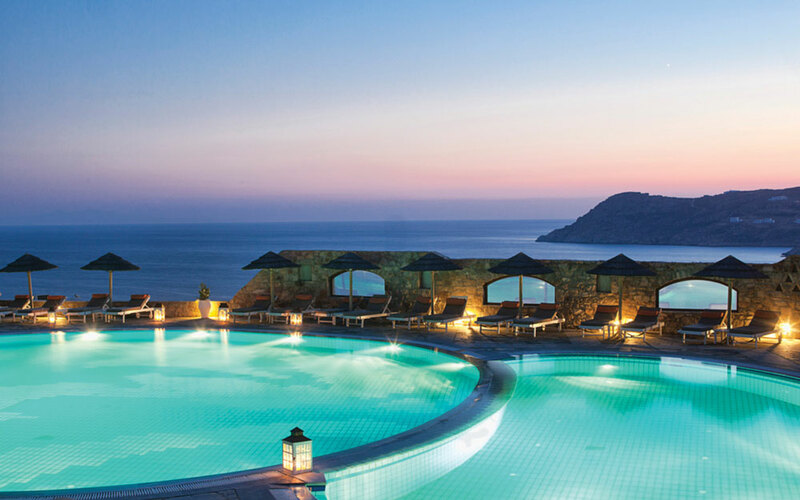 On the Greek island of Mykonos, a team of life, relationship and spiritual coaches use neuro-scientific practices to help clients create healthier relationships, with others and themselves. Over five days of yoga, meditation, conscious coupling workshops, voice coaching, communication skills, soul-nurturing food, Ayurvedic wisdom and more, guests explore their deeper selves and learn effective tools to help them live in the most fulfilling way possible. www.enrich.global/program. As more and more people reach a tipping point in their lives, the intensive, week-long residential method, The Hoffman Process, is coming into its own. Founded by American Bob Hoffman in 1967, the Hoffman Institute now operates from 17 centres in 14 countries worldwide. Drawing on Eastern mysticism, deep meditation, Gestalt, neuro-linguistic programming, cognitive behavioural therapy, mindfulness and bioenergetic and psychodynamic work, Hoffman works on the basis that an intense, condensed experiential programme can speed up someone’s healing journey and is considerably less time-consuming than months or years of traditional one-session-a-week therapy. “Research clearly shows that our behaviours are a result of nurture – we learn our patterns from our parents as children, and they remain automatic,” explains Jeremy Kynaston, Supervising Hoffman Teacher and Hoffman Ireland Coordinator. “The only way forward is to transform deep-seated negative behaviours which keep us feeling unlovable, separate, anxious, joyless and not good enough, through healing the past.” Hoffman seeks to achieve harmony between the four aspects of ourselves: our intellect, our emotional self, our body and our spirit and while the journey is deeply intense and pushes participants well beyond their comfort zones, devotees are adamant it provides the tools needed for personal transformation and emotional freedom. www.hoffmaninstitute.co.uk.